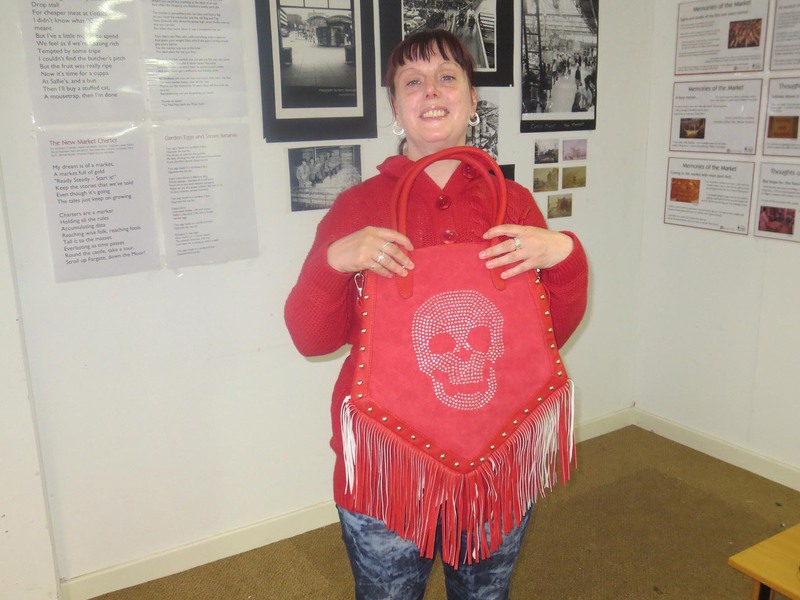 Red handbag – skulls face, fringe. I saw the handbag on a stall. Because I have always wanted one of them I bought it straight away.